4.2 Which Pier to Choose for Boarding? 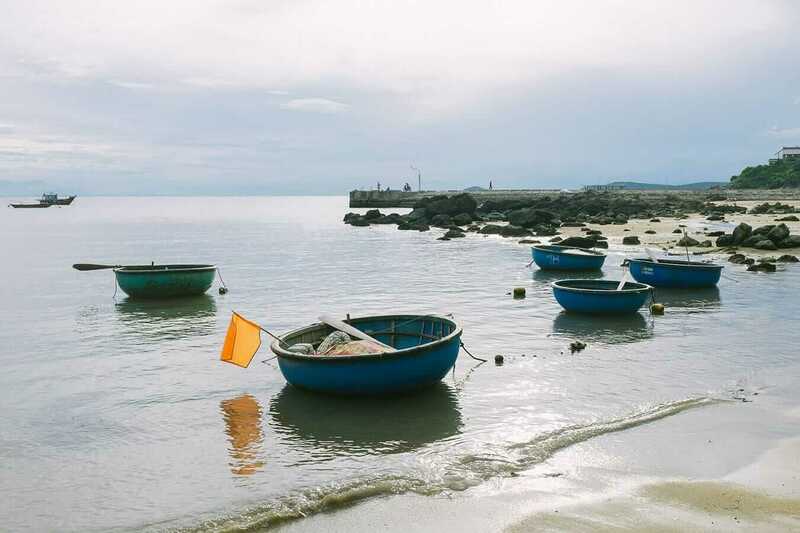 Just 15 kilometres off Hoi An’s stunning coastline rise the Cham Islands—a set of eight granite masses of land. Their turquoise waters provide visitors with snorkelling, diving and fishing opportunities, along with many powdery sand beaches to choose from. The Cham Islands themselves are home to a number of small historical sights. They can be seen with a motorbike tour or by strolling the quiet lanes at your own pace. If you’re after a slice of local life, staying the night and watching the sun sink behind the mainland is a highly recommended way to unplug. Hon Lao the largest and main island, was initially settled by the Cham people around 3,000 years ago. Throughout history, the eastern side of Hon Lao has been a favourable place to anchor ships. Half of the island is, in fact, an army base. 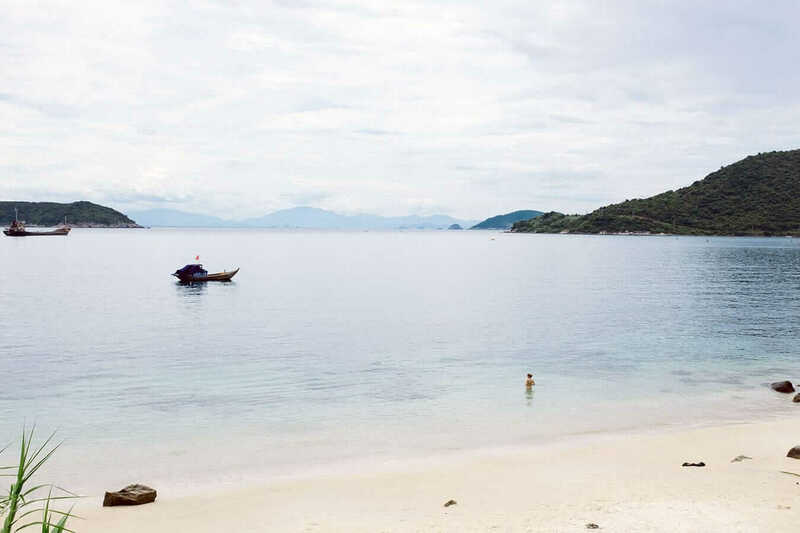 Up until recently, the military had restricted access to Cham Islands for tourists. The dive companies stop snorkeling and diving trips mid-October. They don’t start again until the weather improves in February, as the sea can be rough and the water visibility extremely limited. Also, on either side of this time period, the chances of boats being cancelled increases, due to bad swells in the waters. We recommend visiting the islands from March to September. Many visitors have been stranded on the island for a week or more while waiting for bad weather to cease. Above all – the tour companies know best. So take their advice and ours as we uncover the Cham Islands for you. This is the main town of Hon Lao Island, currently in the midst of an identity crisis. Bai Lang comprises of the main port for the island, restaurants, homestays, souvenir shops, as well as Bai Ong beach. One minute Bai Lang is a sleepy oceanside town where you can envision your worries drifting away on each passing wave. While the next minute it’s a buzzing stop for the boatloads of day-tripping tourists. Past the waterside restaurants and bowls of crustaceans and molluscs, are a number of historical landmarks and viewpoints. The easiest way to find them is to head over to the Cham Islands Reception Office and grab one of the free tourist maps provided. It gives locations for these noteworthy stops and also lists information regarding homestays and the various tours offered. Tourist maps are written in both Vietnamese and English. Five kilometres southeast of the main port, along the coastal road, you’ll find Bai Lang’s younger and undeveloped sibling—Bai Huong. A village stitched together with a dozen or so lanes where around each corner you’ll see fishing nets being repaired and traps being mended. Bai Huong is a very small fishing village. It can be reached by road or via the small local ferry that coincides with the docking of the larger ferry from Hoi An. The beaches here aren’t as nice as the ones that you can find close to Bai Lang. But what you lose in beaches you gain in authenticity. Some speedboats will drop off tourists to visit the town, however it is far less common as Bai Huong is more a local escape. There aren’t many amenities here. Just a couple of restaurants and drink stands that mainly cater to the tour groups that arrive around noon. Aside from the new wave of tourism revenue, the island has had two main economies sustaining it. These are fishing and the harvesting of swallows nests. The biodiverse waters around the Cham Islands consist of large areas of coral, seaweed, and grass beds. They provide great shelter and homes for high economic seafood such as lobster, grouper, snapper, crab, shrimp, and clams. Swallow’s nests are a delicacy in many Asian cultures. The source of their revenue has not only been good for the locals but the whole country as well. One kilogram of birds nests averages around 80,000,000 VND (3,500 USD). If you’re lucky, you may see locals returning from the hills with their harvest. There are a number of different ways to reach the island. Either by ferry, speedboat, or package tour. Having said that, if you’re travelling without a tour and are only interested in a day trip, be careful. You will have limited time on the island before the boats head back to the mainland for the day. While getting stuck on the island isn’t the worst thing that can happen, it will be an unexpected burden on your plans or wallet. The public ferry is a much slower mode of transport than the rest,. But it’s also one that is much kinder on your wallet—and your stomach. It travels to the Cham Islands once every day, and it can be caught from two locations, An Hoi and Cua Dai Pier. The boat itself is a stubby box-shaped vessel. With lots of space for passengers and goods being brought to the island on a daily basis. The front section on the first level of the ferry has wooden benches for people if it’s a crowded ride or the weather turns sour. Additionally, the mid-section has a raised platform usually occupied by locals, as well as a section used to put scooters and cargo. If the weather is good, Hidden suggests sitting on the top deck. Equipped with plastic chairs, rubber mats, and shade, this is the best way to pass the time. At the bottom of a small alley road on An Hoi Island is the departure point for the ferry. It can be a bit of a tricky location to find. But the easiest and sure shot way of finding the alley is to look up Hoi An Silk Marina Resort And Spa on Google maps. The alley that you’re seeking is the first one west of the resort. The alley itself doesn’t actually show up on Google Maps, but we guarantee it is there! If you get lost or are confused, you can always ask at the resort, and someone will point the way. The ferry leaves An Hoi between 7:00 a.m. to 7:30 a.m. and costs 150,000 VND (6.50 USD) per person. You can also bring a bicycle or scooter on for an additional 50,000 VND (2 USD). Taking the ferry also requires a 70,000 VND (3 USD) entrance fee due to the Cham Islands being a marine protected area. Cua Dai Pier is located around 10 kilometres from Hoi An’s Old Town. The trip to the pier will cost around 150,000 VND (6.50 USD) by taxi and takes approximately 20 minutes. Alternatively, you can bike or drive there if you want to bring your bicycle or motorbike on the ferry with you. If you’re going to leave your vehicle at the pier, it costs around 10,000 VND (0.40 USD). The ferry leaves the pier between 8:00 a.m. to 8:30 a.m. and will cost 100,000 VND (4 USD) per person. While the boat stops at Cua Dai, everyone is asked to pay the 70,000 VND (3 USD) entrance fee to the islands, regardless of which port you boarded from. All that’s required is the money and to fill out your name, nationality and year of birth on a list. You can bring a bicycle or scooter on from Cua Dai as well for an additional 50,000 VND (2 USD). The total travel time to the Cham Islands is around 1.5 hours from Cua Dai Pier. Which Pier to Choose for Boarding? There are small advantages and disadvantages to the trip, depending on where you chose to board. If you’re travelling as a group of three or less, the cheapest way is to get on the ferry at An Hoi. You’ll be saving money on the taxi to Cua Dai and chances are it won’t be more than a 15-minute walk from where you’re staying. If you’re travelling with three or more people, we’d suggest catching the ferry at Cua Dai Pier. You’ll have more time to get your things together in the morning, and it will be the same price if not cheaper than catching the ferry at An Hoi. Once the ferry arrives at the Cham Islands you’ll dock at Bai Lang. Here you will have a couple more choices to make. If you’re staying in Bai Lang or just visiting, you’re all set. Otherwise, if you’re staying in Bai Huong, you’ll have two options to reach the village. You can hire a motorbike taxi to whisk you away down the five-kilometre road for 70,000 VND (3 USD) per person. Or you can take one more local boat. On one side of the large ferry is the concrete pier, but on the other will be another smaller boat waiting for cargo and passengers to depart for Bai Huong. This boat costs 30,000 VND (1.30 USD), and the trip takes around 20 minutes to reach the village. To return to Hoi An make this journey in reverse, but make sure to double check with your homestay about the return times. Hidden Hint: If you’re concerned about safety when travelling by water, know that the large ferry has around 10 visible life rings available, and the small local boat at Hon Loa has more than enough life jackets. Travelling by speedboat is the fastest way to reach the islands, taking only around 20 minutes. The average price is around 300,000 VND (13 USD) for a one-way trip. While you can book directly with captains at Cua Dai Pier, Hidden suggests going through your hotel or a travel agent. So this way you have a business to go back to if any issues should arise. To return to Hoi An from Hon Lao, there are a few agents in Bai Lang that will arrange a ride for you. Depending on the time of day, the price may vary on what boats are available. Hidden Hint: Be aware that as the day moves on past 1:00 p.m., the chance of getting a speedboat back to the mainland will begin to dwindle. Getting one after 3:00 p.m. is rare. Plan your trip accordingly. If you’re looking for a private and customisable experience, then you can hire a speedboat for around 5,000,000 VND (215 USD) for about five hours. Time and price are negotiable and will need to be discussed with the agent or captain. Ask your hotel or a travel agent to arrange one for you if needed. There’s a good chance you’ll need to have your own equipment for any activities that you wish to partake in. But you can, perhaps, work it in as part of the deal. There are countless companies in Hoi An that offer day tours to the islands. They normally include snorkelling, visiting beaches, a stop at one of the two villages, and a lunch. However, that being said, many of the tours are very short and don’t leave you much time to enjoy the islands. For snorkelling, in particular, some of the stops are not ideal. They aren’t always the best representation of what the islands have to offer. Therefore we found Cham Island Diving offers the best tours running from 8:30 a.m. to 5:30 p.m. It provides you with multiple snorkelling spots and ample time to soak up some rays on the beach after the other tour groups head back to Hoi An. Cham Island Diving and Song Hoi Tourist also offer multi-day tours to the islands that include an overnight stay. Travelling with a large budget? Then try the Biriwa Cruise (detailed below) as it allows you to enjoy the Cham Island waters in luxury. They offer many sailing tours on a 21-metre traditional classic yacht! 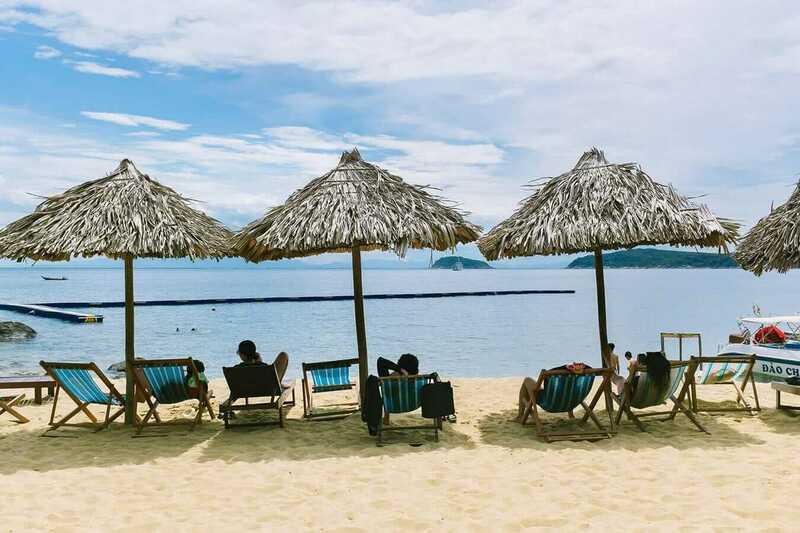 This day tour includes two one-hour snorkelling sessions, complimentary cakes and refreshments on board, lunch, and relaxation on Bai Chong beach. 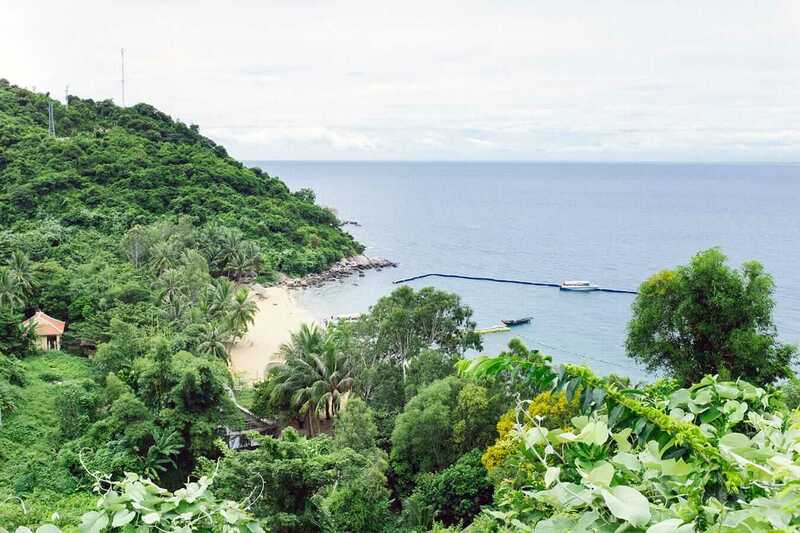 Business hours: 9:00 a.m. to 9:30 p.m. – Price: 1,100,000 VND (47 USD) – Activity schedule: 8:00 a.m. to 5:30 p.m.
Biriwa offer single day trips and overnight trips on a 21-metre traditional turkish sailing yacht, and prices range from 2,200,000 VND (95 USD) to 25,000,000 VND (1,077 USD). Inclusive of all meals, snacks, and equipment required for your day. How to Book: Bookings are made through the Cham Island Diving Center in Hoi An. This one-day tour includes a visit to the sea conservation, Cham well, Au Thuyen, Hai Tai pagoda, fishing villages, Tan Hiep market, dried seafood and souvenir shopping, beach time, snorkelling and lunch. Price: 600,000 VND (26 USD) – Activity schedule: 7:30 a.m. to 2:30 p.m. It is entirely possible to book a night at a guesthouse or homestay in both Bai Lang and Bai Huong. Accommodation prices range from 120,000 VND (5 USD) per person per night, and up to 600,000 VND (26 USD) per night for a room. There is also some serious development in the works between the two villages, so more options will be available soon. However if you’re looking for something a bit different, camping is a common way to spend the night beachside among the rows of palm trees. There are toilets and showers, and the restaurants are just a stone’s throw away. But be aware karaoke parties are also quite commonplace here, too. 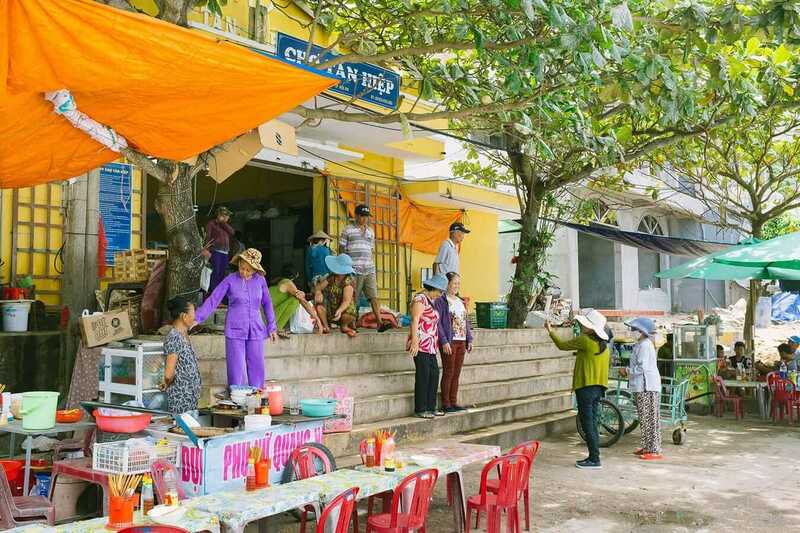 It’s worth mentioning that in Bai Huong a homestay initiative has been created for tourists to stay with many participating families in the village. Rooms are simple with a bed and mosquito net, fan, western style toilet, and electricity. The family can also provide home cooked meals and organise activities, such as snorkelling, fishing, and trekking. The prices for activities range from 100,000 VND (4 USD) and 150,000 VND (6.50 USD). To help you explore the island easier, bicycles can be rented in Bai Lang. However as for renting motorbikes, this is a grey area. If you can find someone willing to rent you one it can cost between 150,000 VND (6.50 USD) and 200,000 VND (8.60 USD) for 24 hours. However, you may only be able to rent one if you have a local driving one and ride pillion. At this time in Bai Huong, there are no official rental options for bicycles or motorbikes. Hidden Hint: If you want your independence and mobility without the high price, take your scooter or bicycle from the mainland. Rent one in Hoi An and bring it on the local ferry with you for 50,000 VND (2 USD). This way you can avoid confusion and any disappointment on the island. Due to the variety of aquatic habitats found in the Cham archipelago, the area has now been protected under UNESCO. There are a multitude of species to see such as eagle rays, turtles, ghost pipefish, whale sharks, and much more. 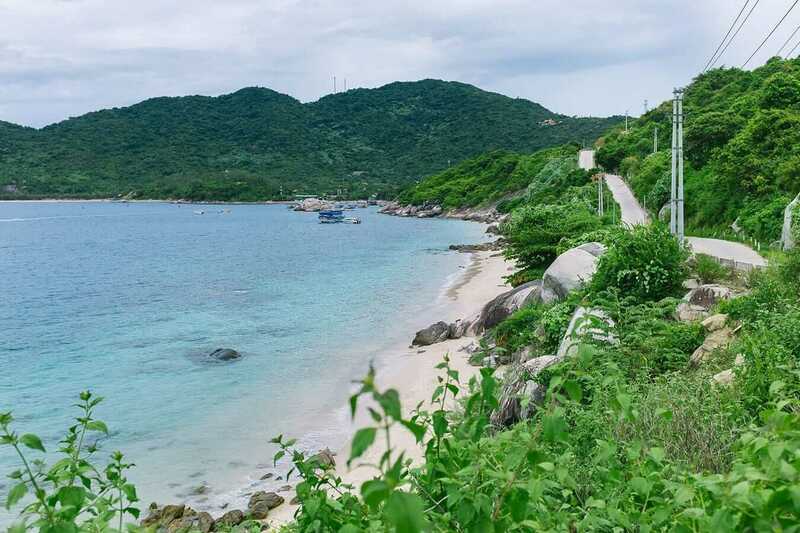 A great operator to book with is Cham Island Diving, who offer a number of different options to view the aquatic life and reefs around the eight islands. You can book online or head over to Dive Bar (88 Nguyen Thai Hoc) in Hoi An’s Old Town and chat with the team there. 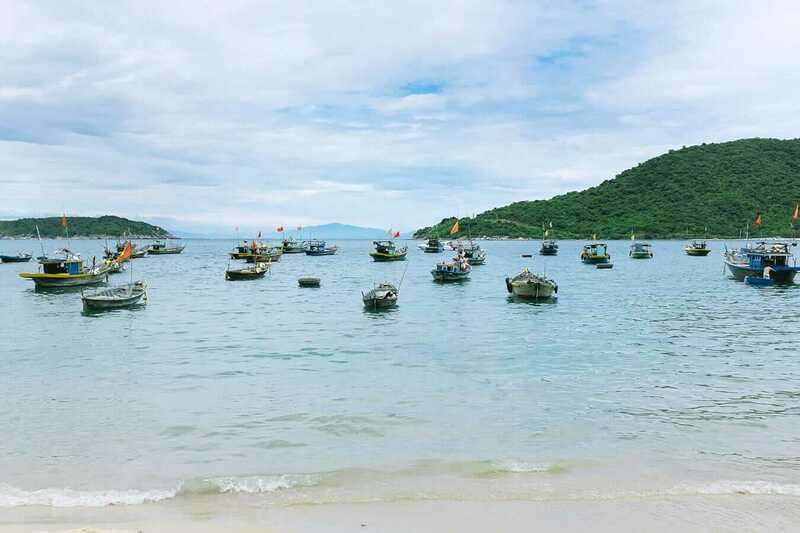 The Cham Islands may only be a short trip from Hoi An. But they will make you feel like you’ve travelled much further than just 15 kilometres from the mainland. Above all, Hidden recommends that you don’t rush and go at least for a full day. It’s worth it because there are options catering to everyone, like diving or snorkeling or just enjoying the boat trip out to explore the islands. It’s also a very family-friendly excursion. The kids will love having all the extra space and freedom to swim and run about. Whether it’s just for the day or a couple of nights in homestays or on the beach, it’s now your turn to visit this once restricted, impressive group of islands.